Just whip up a batch and you will agree. I have been making these for 8-9 years and the reaction is usually the same for folks trying them for the first time: “Hmmmm, may I have another?” Cook’s Illustrated named these cookies, “Chocolate-Chunk Oatmeal Cookies with Pecans and Dried Cherries,” but I call them, “The Perfect Cookie.” So perfect, I have purchased kitchen gadgets specific to making these cookies. And when a bag of tart cherries falls into my lap, I mentally start inventorying if I have the other ingredients. The outside is crisp and the middle is chewy and flavorful. 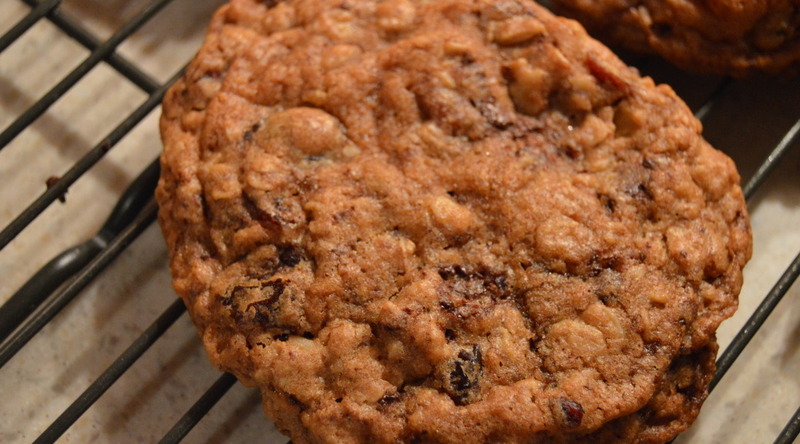 The tart cherries or cranberries in these monster cookies really do well complementing the dark brown sugar and chocolate. I used Trader Joe’s dark chocolate, Pounder Plus bar. 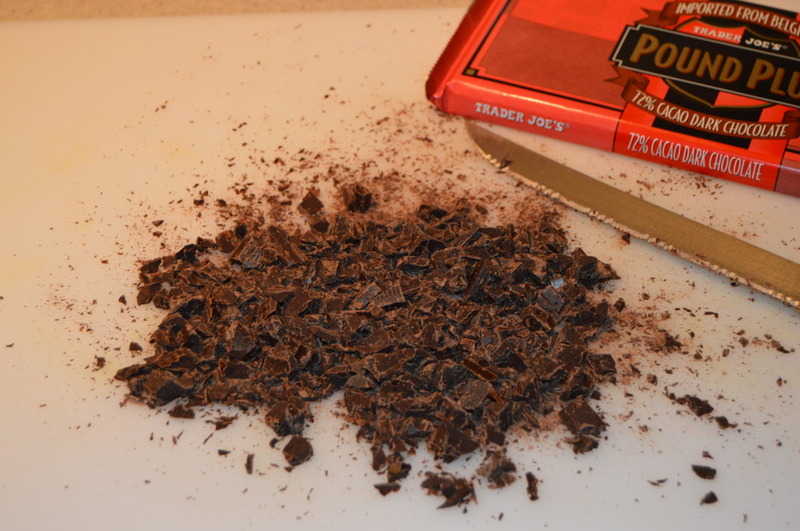 Use a serrated knife to chop the chocolate or just just use a good quality chocolate chip. 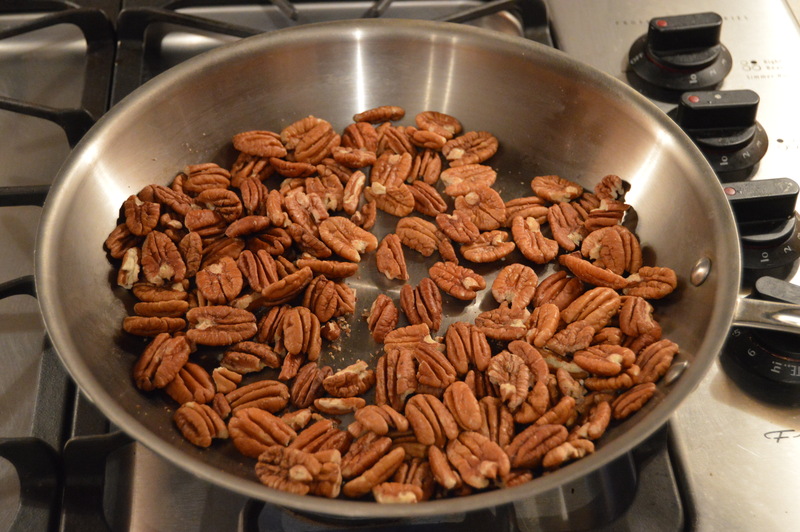 Roast the raw pecans for 5-7 minutes on medium-high heat, stirring often and keeping a very close watch. Once you start smelling the oils, they are roasted. Set aside nuts, chocolate and chopped cherries/cranberries. I put the chocolate in the fridge so it doesn’t soften from the hot kitchen. 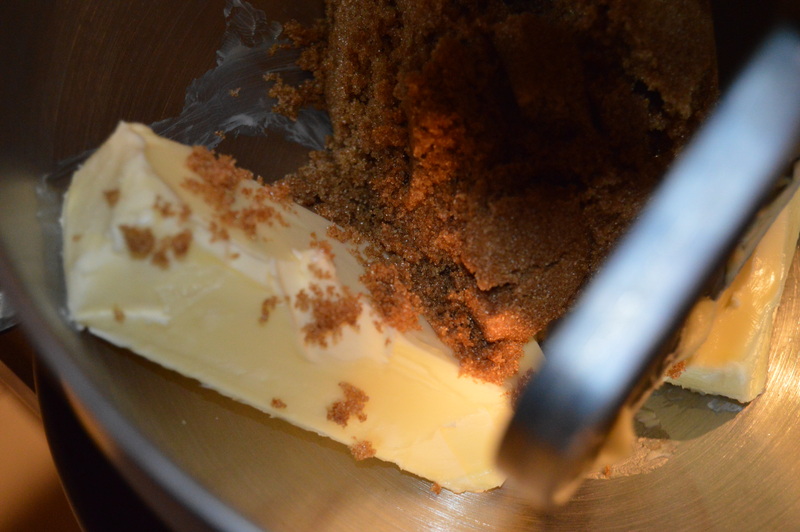 Add 3/4 of a cup of butter and 1 1/2 Cups of dark brown sugar to a stand mixer. Don’t even think about switching out the dark brown sugar for the lighter–not the same. Add the egg and the teaspoon of vanilla. 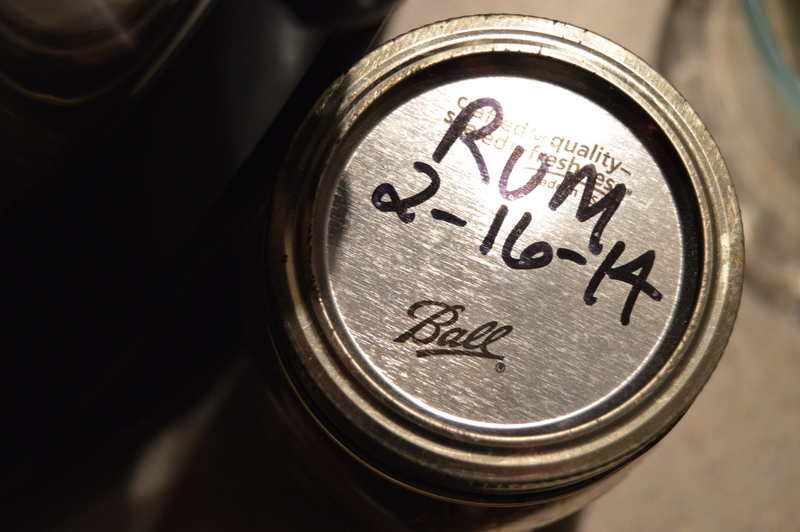 The label here is the vanilla I made this past February. I made some with rum and others with vodka. 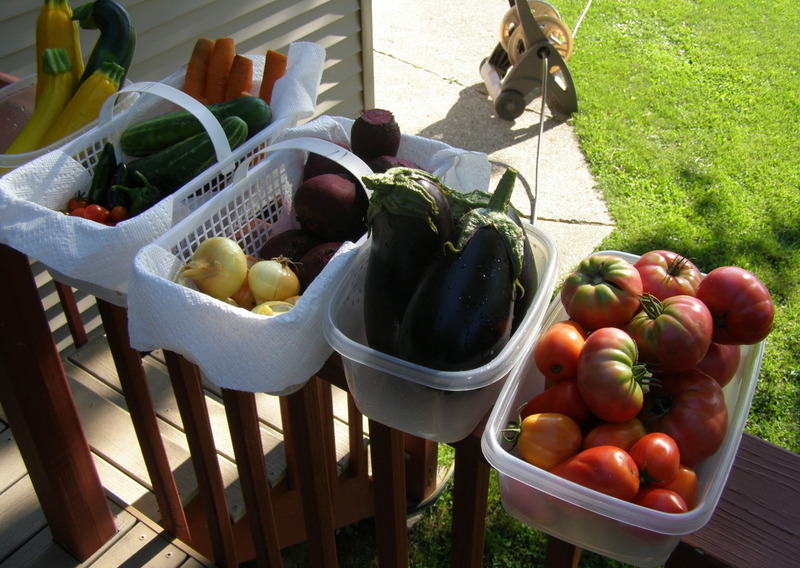 A future blog…you bet. Here I have added the dry ingredients and the bowl of deliciousness(cherries, chocolate, pecans and oats). I’ve scooped out 16 equal balls of dough and pressed them slightly. Nineteen minutes later(I have the time down to a science) I have the “perfect cookie.” Now, doesn’t that look delicious? 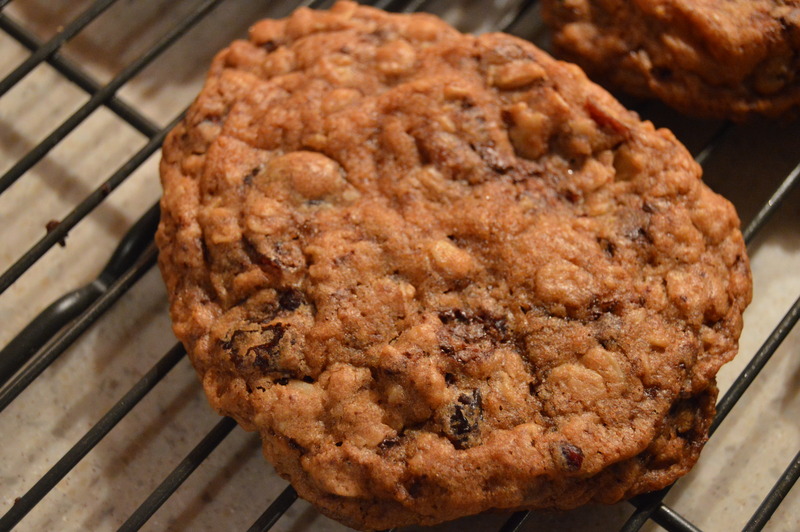 Recipe excerpted word for word from: http://www.cooksillustrated.com/recipes/1996-chocolate-chunk-oatmeal-cookies-with-pecans-and-dried-cherries? 1. Adjust oven racks to upper- and lower-middle positions; heat oven to 350 degrees. Line 2 large (18 by 12-inch) baking sheets with parchment paper. 2. Whisk flour, baking powder, baking soda, and salt in medium bowl. In second medium bowl, stir together oats, pecans, cherries, and chocolate. 3. In standing mixer fitted with flat beater, beat butter and sugar at medium speed until no sugar lumps remain, about 1 minute. Scrape down sides of bowl with rubber spatula; add egg and vanilla and beat on medium-low speed until fully incorporated, about 30 seconds. 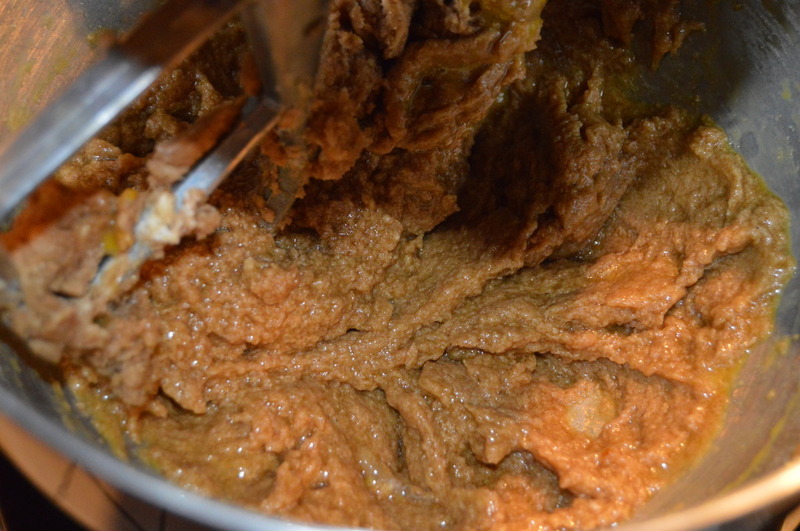 Scrape down bowl; with mixer running at low speed, add flour mixture; mix until just combined, about 30 seconds. 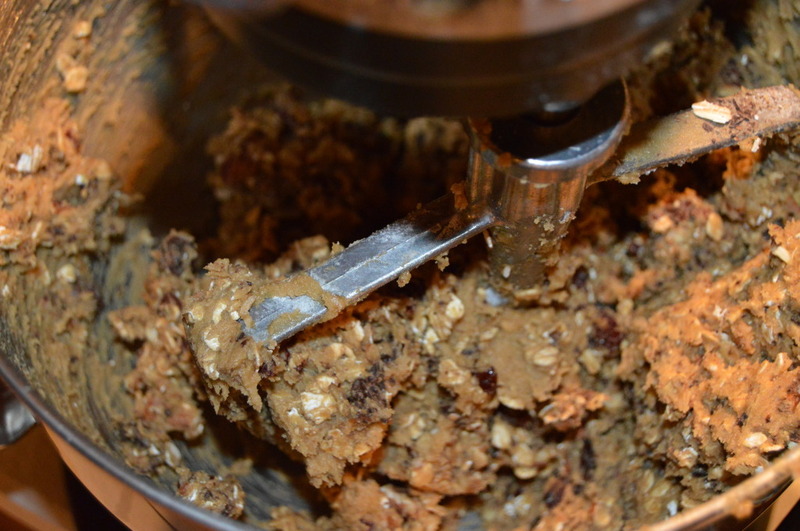 With mixer still running on low, gradually add oat/nut mixture; mix until just incorporated. Give dough final stir with rubber spatula to ensure that no flour pockets remain and ingredients are evenly distributed. 4. 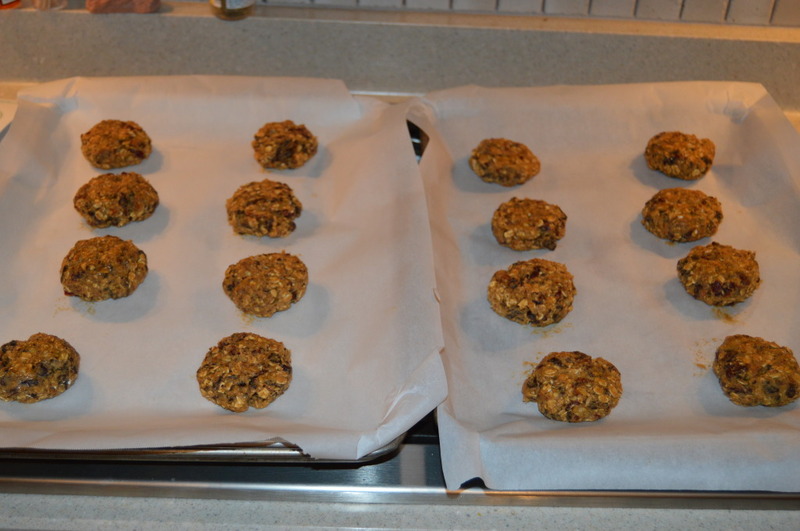 Divide dough evenly into 16 portions, each about 1/4 cup, then roll between palms into balls about 2 inches in diameter; stagger 8 balls on each baking sheet, spacing them about 2 1/2 inches apart. Using hands, gently press each dough ball to 1 inch thickness. Bake both baking sheets 12 minutes, rotate them front to back and top to bottom, then continue to bake until cookies are medium brown and edges have begun to set but centers are still soft (cookies will seem underdone and will appear raw, wet, and shiny in cracks), 8 to 10 minutes longer. Do not overbake.